Years ago, I had the privilege of appearing on the QVC channel. Multiple times. You heard that right, the shopping phenomenon that cleverly floats through your TV, into your living space and finds its way directly into your wallet. During that time, I was working for a company in its marketing department and I was asked to present our product that had been pitched to and accepted on the show. I would be the on-air talent that would be interviewed by the host. What people don’t know is that QVC takes their guests very seriously. I had to fly out prior to our appearance and go through eight hours of training, legal instruction and more. It was intense. Oddly, at the end of the day, the most important thing they wanted us to learn was the QVC way of selling products. They called it the Backyard Fence Approach. 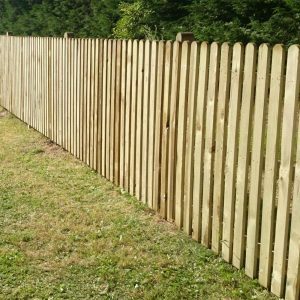 If you remember the hit show Home Improvement with Tim Allen, you’ll remember the mysterious neighbor, Wilson who offered his supposed sage advice over the fence but was never quite fully seen. In essence, when Wilson spoke, Tim listened. But it wasn’t just what the neighbor was saying. It was how he presented it. He usually had some form of pathos or worldly wisdom that caught Tim’s imagination which led the listener to the decision he needed to make. 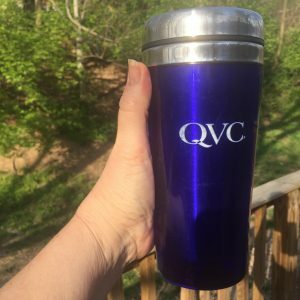 Try as I might, I never quite got the coveted QVC selling method down when I was on the air all of the 5-7 minutes that they gave me each time. I still remember a lady who went on air before me once. I couldn’t believe how she sold hundreds of units in a very brief amount of time. Her secret? I now get it. I didn’t then. She appealed to the viewer as to how the product would make them “feel” once they brought it home and used it. However, I was so caught up in the features of the product and the quality that I couldn’t get past the technics and reach the heart of the buyer. I simply couldn’t process that type of selling, back then. Awhile back, I was preparing a presentation and was just about all wrapped up, when I received some wonderful advice which prompted me to throw my Plan A out the window and start over. Once again, I was reminded that I had been caught up in the logistics and had totally forgotten that it’s all about connecting. I quickly pivoted, threw out the initial slides, and started over. Boy, am I glad I did. My revised presentation in the end was very well received and deemed a success. Why? Because some well placed advice that was shared with me simply reminded me that talking to people doesn’t work—stories do. At Epiphany, our challenge each day is to help our clients learn to tell their story- the story of what they truly do, why they do it, and telling those stories in a way that connects with their target audience. As you go about your week, challenge yourself to look at your latest product, passion, or project. 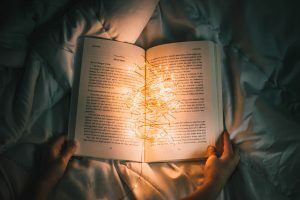 Are you more interested in what you have to say about it or are you truly telling a story that properly connects with the listener or viewer? The last thing we need is more information in our day, we want something we can hang our hat on so to speak. So give ’em something worth listening to, will you? When you do, tell us how it went. We’d love to hear your success story! ← Don’t Forget the Sherpa!